blushing basics: Love Your Skin & Enter To Win! Love Your Skin & Enter To Win! summertime is easily the best time. with long days, warm sun, waterside lounging and more you can easily fill your days with outdoor activities. if you are anything like me you will notice that all those outdoor activities can tend to take a toll on your skin. the summer heat can leave your skin a bit dry so having great products on hand to keep your skin hydrated, exfoliated and moisturized is important! 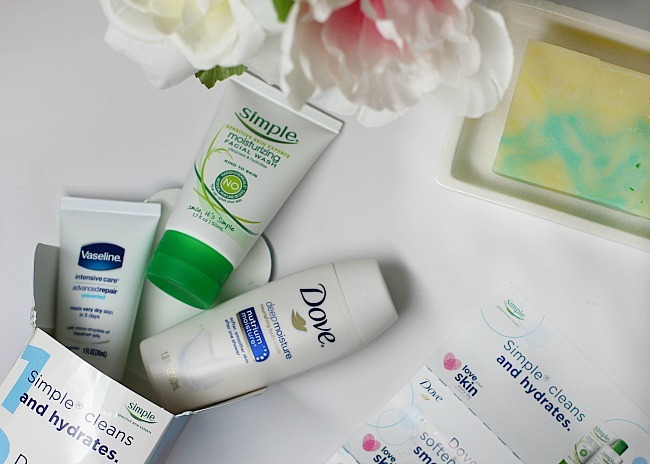 CVS is an easy stop to stock up on your skin care essentials. their product selection includes just the right items to keep your skin healthy and glowing all summer long. 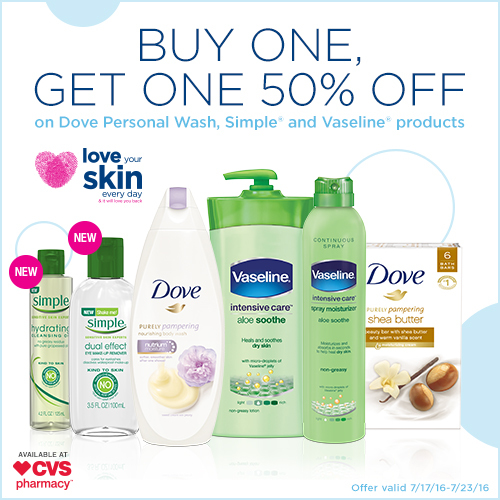 if you are looking to stock up on your summer skin care products be sure to head to your local CVS between July 17th - July 23rd and take advantage of their special Buy One, Get One 50% off offer on Dove, Simple and Vaseline products. along with those great buys they also have additional offers in store. you can also head to CVS.com/LoveYourSkin to take a skin care quiz that will suggest products based on your skin needs. 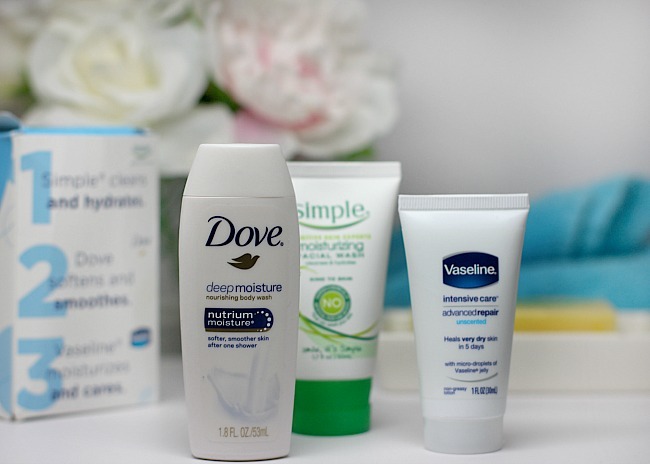 this will help you find just the right products for your summertime skin. ENTER TO WIN A $25 CVS GIFT CARD and a sample kit (as shown above) of these must have products for the summer. kit includes: Dove Deep Moisture, Vaseline Advance Repair and Simple Moisturizing Facial Wash. go to CVS.com/LoveYourSkin and watch the video, then come back and comment on the blog something you learned about your skincare health from Dr. Mona Gohara. these products are keeping me on track to looking and feeling my best this summer - even at 24 weeks pregnant! i can wear my bright colors with confidence knowing that my skin will be glowing right along with them. 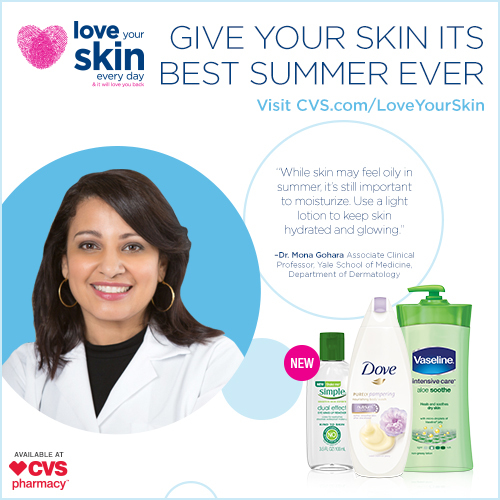 DON'T FORGET to enter to win a $25 CVS Gift Card and a sample kit by visiting CVS.com/LoveYourSkin and take the skin care quiz, then come back and comment on the post, stating what product recommendation you received.